Happy Monday! The weekend went way too fast - it almost feels like the weekend never happened. Hope everyone else enjoyed theirs and got a chance to relax! 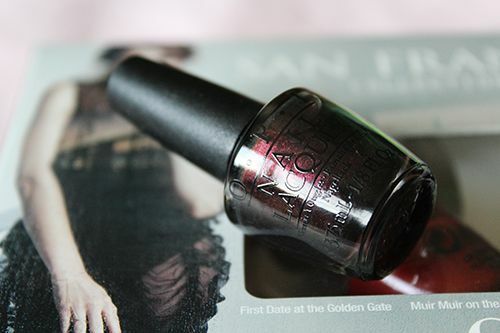 This week I have an absolutely gorgeous shade from the OPI San Francisco collection to share with you, and it's called Muir Muir on the Wall. I had to look this one up, and it turns out to be that Muir Woods is a national monument in San Francisco. There's lots of redwoods in the area, and the trees are MASSIVE. There you go, it's your fun fact of the day! Anyways, this polish is surprisingly sheer with the first coat, but a second coat brings it to near opacity. Above I have three thin coats to ensure I covered my whole nail and allowed everything to smooth out properly. 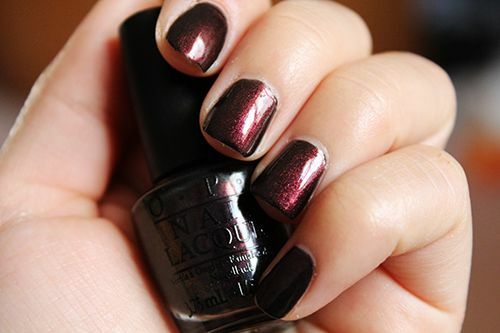 The purple shimmer polish is able to shine purple, red, and gold - some of the most amazing Fall shades if you ask me. The formula dries semi-matte and wears chip-free on the nails for up to 4 days, and it's such a pretty colour to look at and wear with darker fall pieces. 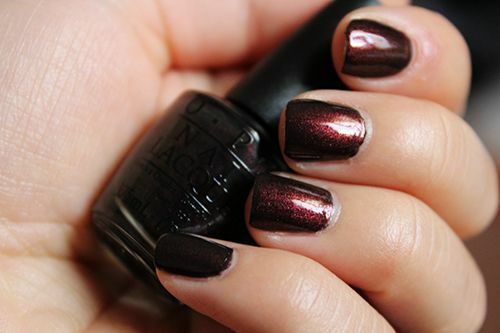 This one's a stunner and so perfect for fall! I will definitely have to pick this one up. It's gorgeous! It reminds me of Chanel's Western Lights. Such a sophisticated and classy shade.